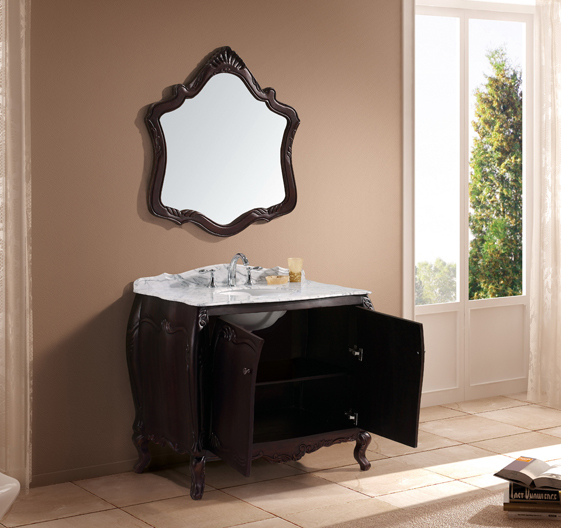 The elegant and timeless nature of the Ocarina Single Bath Vanity is one of the more traditional looking vanities we have here. 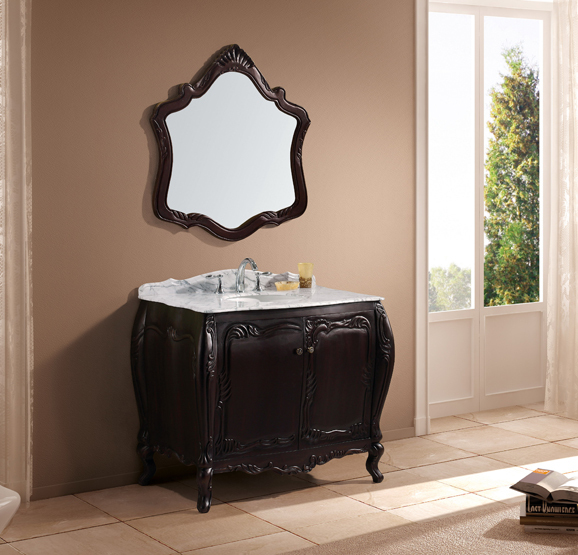 The smooth, curvacious legs coupled with the intricate carvings on this dark walnut stained fountain can give you antique appeal (without wiping out your wallet). The two cabinet doors open up to a very spacious storage area underneath the white Italian Carrera marble counter top sitting above. 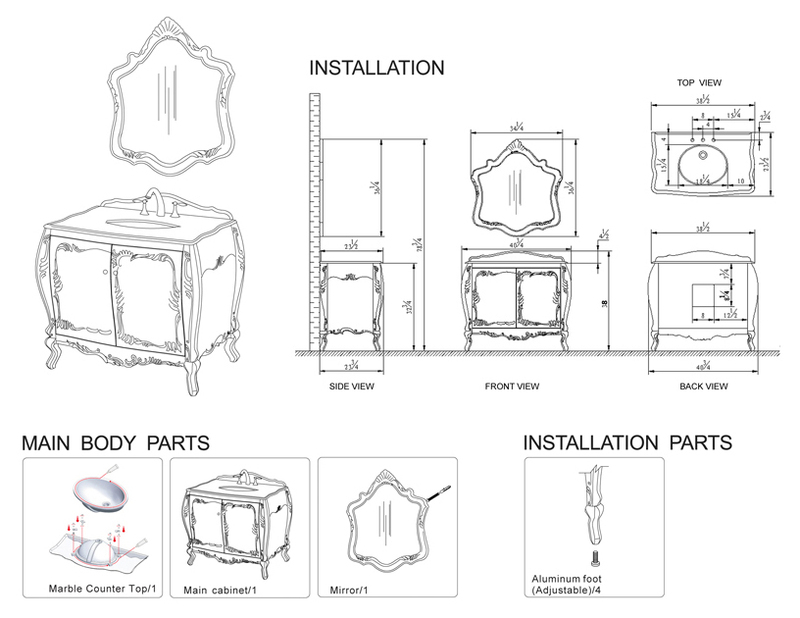 The pictured faucet is not included, however, the pictured hardware and the matching mirror hanging above are included with this purchase. 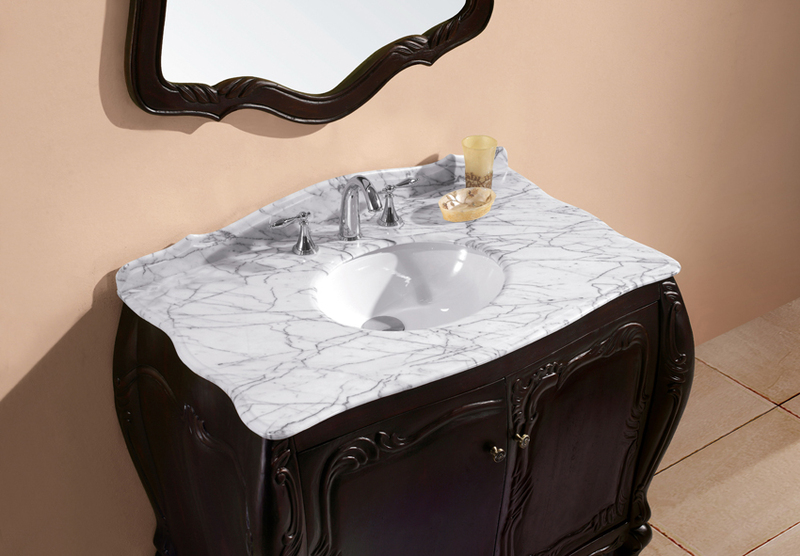 Fill up this vanity today and give yourself another reason to call your house a home.